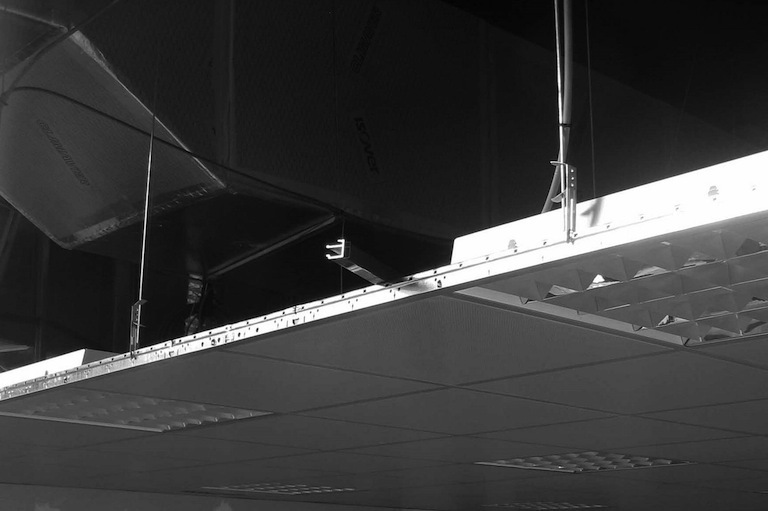 False ceilings with aluminum profiles. Aluminum profiles are used as a structure for false roofs, that are fixed to the wrought or to the roof. False roofs in aluminium are also used because aluminium is a light material, cheap, ecological and aseptic (it is used in the food industry). RAESA supplies solutions for false roofs both for apartments as well as for its use in large stores, as they allow to place industrial installations in the spaces, which entails mounting facility and flexibility in case of changes.